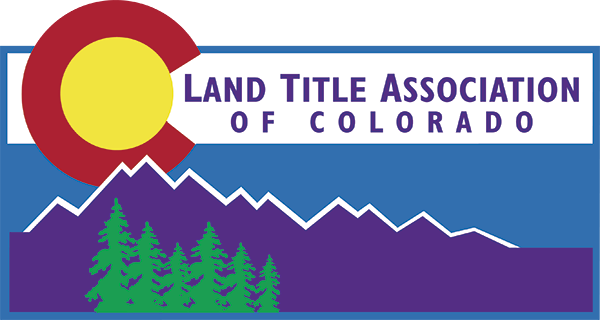 The Land Title Association of Colorado is a non-profit trade organization designed to promote and advance title insurance issues in Colorado. We were incorporated in 1963, but our organization history dates back to 1906, when a concerned group of title professionals joined together to ensure competency and thoroughness in Colorado title work. Their legacy lives on today in LTAC. Our members, businesses or individuals, come together to protect Colorado real estate transactions. Real estate buyers, sellers, financers and developers all benefit from the quality title work fostered by LTAC and its members. Our organization provides education to its members, outreach to the consumer community, and insight to legislators and regulators about the title insurance industry. We are proud of our history, engaged in the present, and challenged by our future. The 2019 mandatory Contract to Buy and Sell Real Estate (Residential) (“Contract”) and forms go into effect on January 1, 2019. Please see a copy of the contract here. Section 13 “Transfer of Title” and sections 13.1; 13.2; 13.3, of the new Contract will affect how our industry prepares the deed. LTAC has developed the following best practices to help guide member companies on Section 13. In the meantime HB19-1098 has passed and has been signed by the governor. Check out the signing on LTAC's new linked in page. We are working with forms committee and industry partners and hope to have this section of the contract change in early May. The timing is primarily based on scheduling of forms committee and the real estate commission. In addition, please review the changes to Section 7 in regards to homeowner associations. LTAC has interviewed a handful of larger HOA’s and/or management companies in preparation for the new 2019 RE contract and several have indicated that they will not be able to fulfill these requirements. We have formed a task force to research how prepared HOAs are for this contract change. If you interested in joining the task force or have information you would like to share, please email [email protected] and she will get your information our task force chair.